The scenario usually starts with a phone call from somebody who is out of state. They claim fabulous results for your website. Typically preying on your misunderstanding of how everything works. They first start out by ranking your business for an irrelevant keyword immediately. Thus peaking your interest and sending you down the rabbit hole. It’s not hard to rank for irrelevant keywords in search engines. It is hard to rank for keywords that are profitable for your business. The difficulty is two fold, one determining the most profitable keyword for your business, and two having the knowledge to move you to Page 1 ranking. Additionally if your competition is simultaneously improving their SEO you could find your self canceling each other out. Below are a couple of great tips for businesses who have time to invest in their website SEO. 1. Run a Free SEO Report: Try my Unlimited Free SEO Reports on any page of your site. Fix the errors on that page. Rerun the report to see your new score. Our detailed report is a great first step to determining what problems you have. 2. Find Profitable Keywords: Use a keyword research tool like the Google Keyword Planner or the analytics from a well built pay-per-click campaign. Pay-per-click campaigns will tell you what keywords will generate revenue for your business by showing you search volume for your services and what your competition is spending. Quick Tip: Save money on PPC by using incentives for first time customers that include $100 credit for spending $25. 3. Measure Your SEO Investment: Understanding marketing analytics is essential for turning awareness into conversion. Analytics allows business owners to be more efficient and minimize wasted web marketing dollars. Start by installing Google Analytics on your website. Starting the collection process is useful to your business even if you don’t plan on actively marketing your business right now. 4. Write Great Content: If you write great content people find engaging, your website will rank organically. Visitors will naturally share it on social media and link to it in blogs. Thus telling search engines that your website is authoritative and important. 5. Understand SEO: SEO isn’t hard to understand, it’s a combination of good practices in website design, content development, page organization and organic link building. Check out this Beginners Guide to SEO by Moz. 6. Watch for Search Engine Updates: Search engines are constantly revising their algorithm in order to provide their customers with the best search results possible. Make sure to regularly check for major or minor search algorithm updates. When is it beneficial to hire somebody to do SEO? I always tell clients its beneficial when your time is more valuable than ours. Plus experienced SEO companies can leverage their knowledgebase and accelerate the process over self-teaching yourself. With over 1 billion mobile devices sold in 2013, being accessible is important but ranking 1 is no easy task, just a lot of hard work and time. Just make sure to make calculated and researched investments. Quick Tip: Try working with local or industry specific companies that know your geographic limits or industry specifications. SEO is for every business but not every business budget. Creating, maintaining and accelerating at SEO requires experience and skill which takes time and costs money. It’s not as easy as adding a plug-in to your website or submitting your website to a search directory. 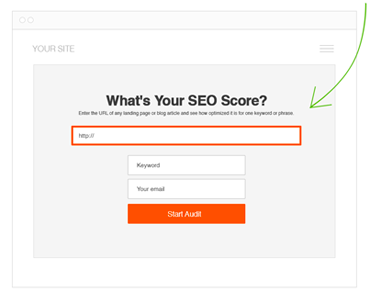 Check your websites with our free seo tool and see where you stand. Thanks Charlie, very helpful guide , I learn a lot and hope my blog ranking will improve with this guide. Thanks for a good clear post. I think many people thinking about buying SEO Services don’t really value what they are buying a decent SEO campaign, getting you on the front page of Google for product or service terms that converts can be worth a small fortune to a business. I regularly ask people do you think someone who is going to add thousands to your bottom line is really going to do this for £99 or $99 a month get real! If you don’t have at least $2,000 per month to spend on SEO, then don’t waste your money hiring an SEO firm. Very great post. I simply stumbled upon your blog and wanted to say that I have really enjoyed browsing your weblog posts.